When I started my business career fifty years ago, life was much simpler. The rules for running a successful company were also simpler. Customers were glad to get products and services and didn't fret the details too much. All of that has changed. Customers now have many choices and very high expectations. If companies do not execute with precision, the customer silently vanishes. Today, you shouldn't start a business unless your you have fire in the belly, a drive to be the best at what you do, and a willingness to pay the price for success. I retired from my accounting and consulting practice a few years ago—and truthfully—I just wanted to rest for a while. My entrepreneurial career left me with some battle fatigue and a diploma from the school of hard knocks. However, in the last few years of my career, I stumbled onto something—something quite amazing—that now gets me out of my rocking chair each day. I am somewhat of a quiet accountant type, not prone to a lot of hype. I like plain truth. In fact, I am a seeker of truth and have little patience for the bloated advertising and misinformation that fill our digital world. I wrote an ebook, Box Theory™: Double Your Profit with High-Performance Business Systems and Processes, that contains many truths that are little-known but essential for business owners to understand. I'm going to give it to you for free. Please keep reading. Several years ago, I began to teach my accounting clients how to use financial statements to pinpoint the under-performing areas of their business. This led to an interest in business systems and processes that grew into a passion. I eventually developed a two-day workshop that generated a lot of interest. One evening while vacationing in Carlsbad, California, I watched a program on the Discovery Channel entitled, "String Theory—the Theory of Everything." I was intrigued to learn that scientists now believe that very tiny strings of energy, far beyond our ability to see through a microscope, are the foundation of all matter. Do you remember from chemistry class that matter is made of molecules, molecules are made of atoms, and atoms are made of atomic particles (protons, electrons and neutrons)? Since I took chemistry, they have discovered quarks inside the atomic particles. Now, physicists have mathematically proven that these energy "strings" are the basis of everything in our universe. It struck me that big things in our world contain important small things, which are made of even smaller things—all interdependent. If anything goes wrong with the smaller thing, the effect is felt all the way up the line. 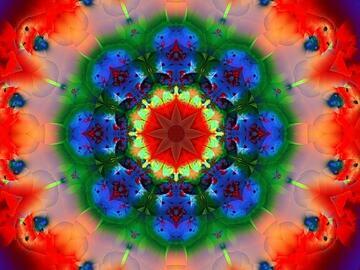 Cancer cells can destroy an organ. Organ failure will shut down a system within the body. And a system shutdown can cause the body to die. The concept reminded me of a poem quoted by Benjamin Franklin in Poor Richard's Almanac. For want of the revenue, a business was lost. And all for the want of a minute to make a phone call. This poem won't be published anytime soon, but you get the idea. In business, we must pay attention to the details—the small things that affect the important things. Consider for a moment what you are reading right now. The alphabet is a system of twenty-six symbols or letters used for communication. By arranging the letters in a certain order, I create words with meaning. By grouping words together, I can form a sentence that expresses a complete thought. Several sentences form a paragraph. Linked paragraphs create a complete story. Letters, then, are my building blocks for writing this article. If they get out of order, I will fail to communicate with you. How I arrange the letters is what sets me apart from all other writers. The big idea from this is that we live in a world of systems, the components of which are smaller systems and subsystems, all working together for the good of the whole. Important activities are going on at every level down to minutest detail. To improve the outcome of a higher-level system (sentence), you must fix or improve the flaws of a lower-level system (words or letters; e.g. misspelled word). One day in a business improvement workshop, I was flowcharting a system on the whiteboard—creating boxes for each step with the arrows between. In a momentary flash, I realized that an entire organization is made of flowchart boxes that are connected, and, which influence one another. In the days that followed, the concept of Box Theory™ emerged, a unique way of looking at the structure of any organization. Box Theory™ has taken me on a journey of discovery far more important than I ever imagined. It has literally changed my life, not just my business career. I have a new and inspired view of the world—how things work together and affect each other—that makes it possible to see solutions to problems clearly and quickly, and how to improve any task or process for maximum results. It's really quite extraordinary! My purpose for writing the Box Theory™ ebook is to give business owners and organization leaders a new way to look at their business—in high-definition—that will enable them to compete in a crowded and unforgiving marketplace. Box Theory™ is not weird science, but natural and intuitive. 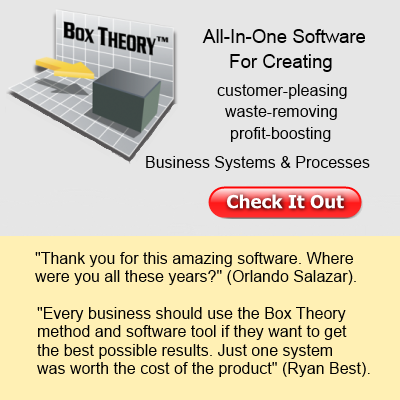 It is not based on strange new techniques, but upon rock-solid and proven principles that are used every day by successful organizations (see more about Box Theory™). Truthfully, Box Theory™ is the way you already do things, without realizing it. Now, your effort will be planned, systematic and far more effective. 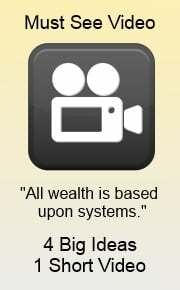 You will have a powerful "system" for creating your business systems. The timeless truths that you learn in this course will provide the foundation for a life-long business career. Perhaps like me, you will see the application of Box Theory™ in every aspect of your life. Now, as a gift to those who read this article—which is also the foreword to the ebook—I want to give you a free copy of Box Theory™: Double Your Profit with High-Performance Business Systems and Processes. It is on my website and sells every day for $19.95. If, after reading it, you have time to tell me what you think, I would greatly appreciate it. All you have to do to get the ebook is sign up for my weekly newsletter (upper right column) and other free items for creating better business systems and processes. Then, shoot me an email—rcarroll@BoxTheoryGold.com—and tell me you want a copy of the free ebook. I will send you the link with no strings attached. My only hope is that with this powerful information you will become a Box Theory™ enthusiast and practitioner, and can create a truly remarkable business enterprise! How do you know when you have good business systems such as lead generation, customer care, hiring, order fulfillment, and many others unique to your organization? Well, the best answer to that question is whether your business systems are hitting their mark, whether they're getting the intended results. Stakeholders, customers, and employees are also feeling pretty good about your operation. And, you don’t kick the dog when you go home at night. But let’s be a little more specific. Does your business system or process include the following eight characteristics? Your small business can become a great business if you have a never-ending desire to improve. Do you have the will, the pig-headed determination to create business systems and processes with the characteristics described above? You’ll know you have arrived after you go on a month-long vacation and find the business running smoothly when you return? Now, that's a goal worth working towards! Wouldn't you agree? Polish one or two systems at a time. Before you know it, your whole business will shine. And keep in mind, Box Theory™ Software will enable you to create exceptional business systems and processes with all eight of the essential characteristics—AND IN HALF THE TIME. Let's get going! Do you believe business systems are important, but you're not sure how to get started? It's actually easy and even fun. Let me show you a quick way to create a draft of your system design. Then you can let someone else—secretary, student assistant, team leader, or manager—prepare the final document and acquire the necessary system components. When I want to outline out a new business system, or improve an existing one, I often conduct a whiteboard discussion with key people such as managers, supervisors, and team members. I not only want their ideas, insights and experience, but I want their buy-in and commitment when the new system is deployed. I prepare for the meeting by gathering any system-performance or financial data, and by inquiring about customer complaints or employee frustrations. I try to begin the discussion with a good idea of the problems or challenges. At the top of the whiteboard, I first write the name of the business system we are addressing (e.g., lead generation, customer service, order fulfillment). I then briefly discuss with the group how the current system is performing (baseline data), and what the perceived problems or challenges are. I may even use a 5-Whys Analysis to uncover the root cause. Properly identifying the underlying problem often points to the solution! Finally, I write on the whiteboard our agreed-upon system objective and measurable goal. On the left side of the whiteboard, I draw and label a box with the first step of the system. On the right side of the whiteboard, I put a box with the last step of the system. It is very important to establish the correct beginning and ending points. We don't want to overlap with other business systems. With input from the team, I draw the rest of the flowchart boxes and connecting arrow-lines, modifying box names, and re-positioning until we are satisfied with the basic system design. Sometimes our process has decision points with alternate paths such as a customer choice between a "standard service" and a "deluxe service." In addition to the steps moving forward, the process may also have a path that loops back for rework. For example, an application is "not approved" or a manufactured part "fails inspection." These additional paths are incorporated into our flowchart. After much discussion, sharing different points of view, experimenting with alternate logic, and trying to reach a consensus, we finally agree on the best way to accomplish the objective of the business system. 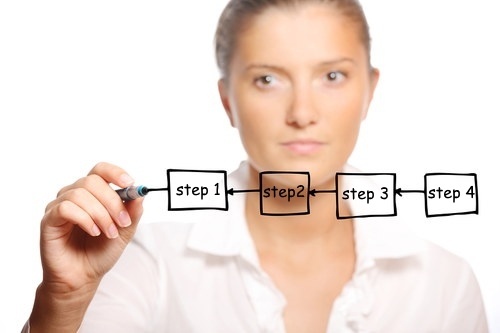 The next task is to identify the major components needed to perform the steps of the process. Under each flowchart box, we list the different forms, checklists, tools, equipment, software, and so forth, necessary to complete the step successfully. With group participation, we identify most components; however, we can add others later when refining the system. I usually list one to five important component parts per step—not many. Note: The greatest weakness of most new system developers is not identifying or acquiring the necessary "component documents." Somebody has to create the checklists, job descriptions, telephone scripts, policies, forms, worksheets, and so forth—the paperwork. Carefully consider these items for each step in your process. They are the essential ingredients of an effective business system. Delegate the acquisition of system components as much as possible. 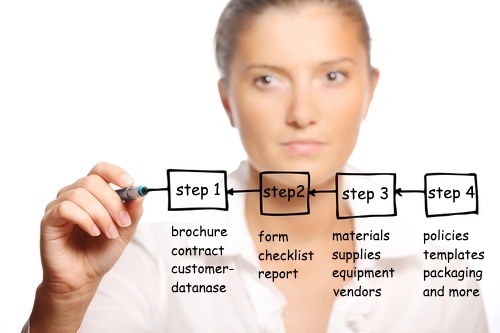 By following this simple procedure, we now have a draft design of our business system or process. We've identified what we want the system to do, how we will do it, and what component parts are necessary to do it right. Here comes the pitch. With Box Theory™ Gold software, you can have a person in the meeting quickly copy the flowchart and component notes from the whiteboard into the software. By the time the meeting is over, the system is well on its way to completion. It's that simple! Creating systems and processes that delight customers, bring about a happy and productive workforce, reduce frustration, and boost profit, is easy when you look at your business through the eyes of a Systems Thinker. 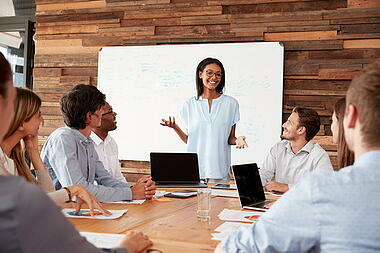 Now go pick a business system you are dying to improve, and have your first whiteboard discussion. As the song goes, "This could be the start of something big!" A person recently asked me, "What do you do for a living?" I replied that I help business owners learn how to develop effective systems and processes. The person responded, "How boring; I feel sorry for you." ... Ouch! That hurt, as if he said something bad about one of my kids. I guess I am a bit odd because I find systems fascinating. They are the secret to social and scientific advancement, and they provide the solution to many of the world's problems. They operate in nature, in societies, in governments, in business, and in families. Smart people recognize the importance of good systems and processes. Wise people learn how to use them to their advantage. Truthfully, if you aren't attracted to Systems Thinking like iron to a magnet, like bees to honey, like flies to a... well you know what I mean, then you really shouldn't be in business. I mean that sincerely. By the way, all three of those attractions are part of nature's amazing systems. They happen for a reason, and each provides a positive benefit to the world. Building exceptional systems and processes to profitably find and serve customers is the Master Skill of the entrepreneur. Creating systems that consistently get desired results is critical at every stage of business development. So, which of the following describes you? Starting a Business? Create essential business systems to organize and structure a new company that runs smoothly and impresses customers right from the start. If you begin your business as a Systems Thinker, you will never regret it. Systems and processes are your building blocks to success. There is no other way! Growing a Business? Effective marketing and sales systems are the catalyst to growth. However, after the euphoria of increased demand, don't slip into crisis mode with inadequate systems for making or delivering your products and services. Many companies can't handle rapid growth—too many system inputs. Owners lose control. System-breakdowns lead to ruin. You must elevate unsatisfactory systems and processes to increase throughput and keep customers happy. There is no other way! Fixing a Business? Most small businesses are filled with mistakes, lost time, and rework, often unnoticed by busy owners and managers. Effective systems dramatically reduce waste and inefficiencies. In a tough economy, every penny counts. Cut out the fat and put more money into the pocket of your stakeholders—including yourself—with smooth-running and cost-effective business systems and processes. There is no other way! Franchising a Business? Turn your entire operation into a self-running system that provides consistent results day after day. Let someone manage the business for you, or replicate it in other markets. Once you create your moneymaking machine—and document the successful way you do things—it is easy to franchise or repeat in other locations. Good business systems and processes enable you to become independent and free of the daily grind. Again, there is no other way! Do You Have the Entrepreneurial Bug? You may not need to focus on system development if you are self-employed, a network marketer, or a franchise owner. Self-employed people usually have the systems in their head; they are the system. Network marketers plug into an existing system. Franchise owners buy a business with all the systems and processes developed, proven, and ready to go. They also pay a premium for this service. However, if you are an entrepreneur, you have the bug to create your own unique systems for providing remarkable products and services to your target market. I applaud your drive and courage! Final Note and Caution: Don't be fooled into thinking that you can prosper without obedience to the laws that govern success. Don't believe that you can ignore the Law of Cause and Effect—everything happens for a reason. Don't believe that you can build a lasting and profitable business without using high-performance systems and processes to create consistent and predictable results. Be Smart. Become a Systems Thinker! Mini-Course Day 1: "Fast Start to Systems Thinking"
I know that owning a business brings a lot of daily challenges and frustrations that can remove much of the joy. I've owned several companies and worked in the trenches with many business owners over the years. Regretfully, it took much of my career to figure out the one absolute way to solve every business problem and eliminate most of the aches and pains. Have you ever had any of these or similar thoughts? In this 10-Day Fast-Start Min-Course, I want to show you how well-designed systems and processes are the solutions to all of your business problems. You may be thinking, "I already have systems." And I know you do. 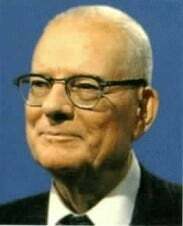 But frankly, most people don't fully understand the true nature of systems, and how to develop them for maximum results. "Let systems run the business and people run the systems. 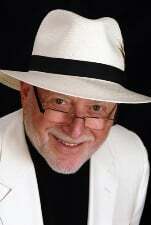 People come and go but the systems remain constant" (Michael Gerber, "E-Myth Revisited"). Effective systems are the essential building blocks of every successful and profitable business; they encompass every business function! The ability to create effective business systems and processes is a learned skill based upon powerful and proven principles. In the next ten days, I'm going to discuss ways you can harness the power of your business systems to create a high-performance organization that will increase your customer loyalty, profitability, and overall business success. What exactly is an effective system? It is a procedure, process, method, or course of action that produces a consistent and measurable result. Systems enable your business to accomplish its most important objective—to profitably find and keep customers—even without your hands-on involvement! Good systems are the “magic formula” for success! They increase efficiency, accomplish objectives and give customers what they want every single time. They are the solution to frustrations, waste of resources, poor performance, and other business problems. While the right people are critical to an organization, a mature business operation has fully developed systems and is systems-dependent rather than people-dependent. If properly designed and implemented, systems boost cash flow and profit. The financial return of good business systems far exceeds the cost of their development. When I go about doing business in the marketplace, I don't get frustrated with people so much any more. I see poorly designed or executed systems. And the person usually at fault is the business owner, not the employees. Owners or managers have failed to install an effective system or process. Could that be happening to you? I’m now going to make a rather bold statement: Developing effective business systems is the primary skill that must be mastered by the small-business owner and entrepreneur! All business functions—marketing, finance, and operations—fall within the scope of this single skill mastery. When all of your business systems and processes—marketing, accounting, customer care, hiring, production, order fulfillment, and so forth—are delivering predetermined, consistent, and desirable results, your business will grow and flourish. It will become remarkable! One day, you will be able to sell your company for top dollar, franchise it, or hire someone to manage it for you. You will enjoy the rich harvest of your labors. There is no other way! Developing effective business systems is both an art and a science. I teach you how to do it in my eCourse, "Box Theory™: Double Your Profit with High-Performance Systems and Processes," I think it's the best few bucks you can spend. There is no risk, so please take a look (I never get requests for refunds with this ebook). "WOW! This Is Great. I'll be eating this up all weekend. Can't wait to share results with you. "—Jay M.
Tomorrow we will discuss how the quality and efficiency of your business systems leads to lower costs, higher profit, and a competitive advantage—just what you need in our ailing economy!